When we got our first drone, we immediately took it outside and took to the sky. Moments later we were rescuing it from a tree. We have learned a lot since then, logging many hours of flight and acquiring our Part 107 license, that’s the FAA Remote Pilot Certificate with a sUAS rating. In other words, we have our drone pilot license and we’ve been through a lot to get it. We are pledging to you that we will build content on Drone Rush to help you become a better drone pilot. 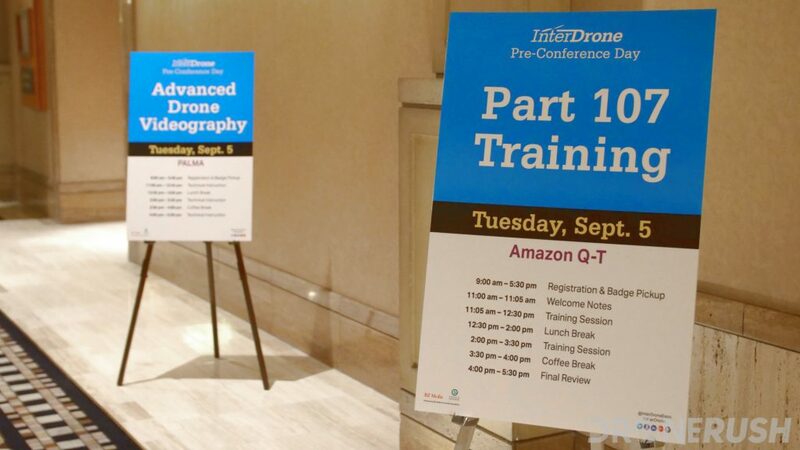 We can talk about some of the basics, and our experience passing the test to get our Part 107 drone certificate, but we’re going to leave some of the actual drone training to the professionals at Drone Pilot Ground School. Let us explain. We are designing this article to be your road map to drone training. We’ll point you toward the info and resources you need to take off, both for fun in your backyard or for your new drone business. We’re just getting started, be sure we’ll add more and more info as the year rolls on. You must register your drone BEFORE you fly! Like it or not, if your drone weighs more than 0.55 lbs at take-off, you need to have an FAA registration number attached to the craft. This is for the United States, obviously, but many countries around the globe have similar requirements. Bottom line, there are laws that you are going to need to know and follow for your flight. We’ve covered the FAA flight rules in-depth, check it out. You must display your drone registration number on the outside of your craft. The FAA enacted a new drone law for you to be aware of, it’s simple, you already had to keep your FAA registration number with your drone, now you must ensure that it is externally visible on your craft whenever it is in the air. You can put a label, write it on with a marker or etch it into the body of the drone, there is no rule on how you affix it, just that it needs to be there. Important note about the FAA! Do you intend to make any money at all from your drone flight, including the images and video you capture from the sky? Some examples you may not have thought of include posting your fun video on YouTube with monetization turned on, flying in a race that has a prize for winning, or even accepting a hot dog as a thank you for showing the neighbor kid how to fly at a casual afternoon BBQ. I was asking for clarification on flights such as these, the FAA rep made it clear, if your flight will be compensated in any way, shape or form, it should be managed as a commercial flight. That’s right, viewing the laws literally, you need your Part 107 certification to fly in most of the situations that we take for granted. They could not comment on whether or not the FAA would be stepping up policing of drone flights, but there are drone registry and identification measures in the works. With an identification system in place, such as DJI’s AeroScope platform, law enforcement on the ground would be able to identify a pilot from the craft in the sky. We hope that hobby flights can continue as they have for years, but I urge you to consider the ramifications if you are making money off of your drone activities. Like it or not, we are going to have to follow these ever narrowing guidelines for the sky. 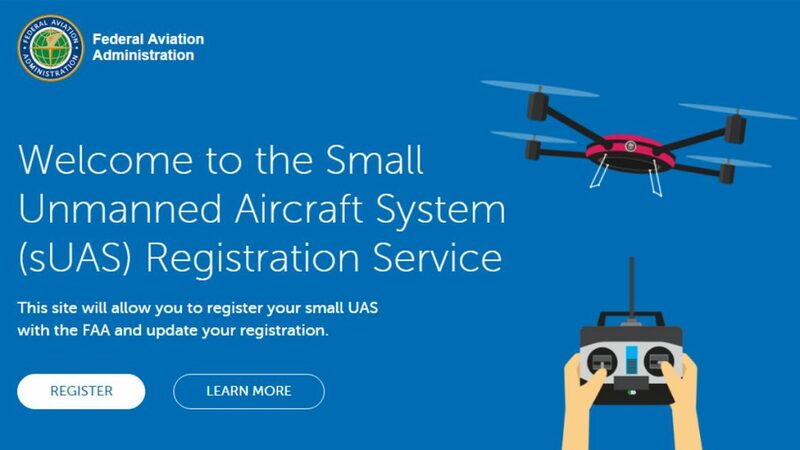 February 2019 – All drones must externally display your FAA registration number. First up, the place we all get started, flying a beginner drone to learn how things work. 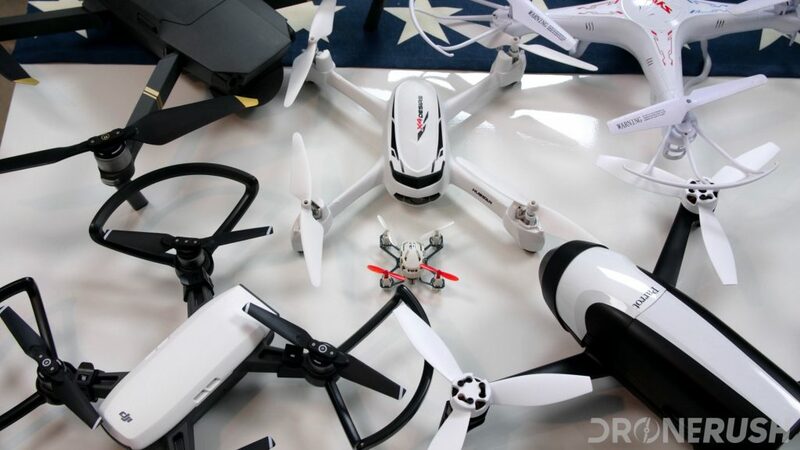 We’ll start you with our hard learned lessons from our first flights with a toy drone. Knowing what not to do is important, let’s add in some of the things that you should do. The documentation with your new drone will guide you where to go, but we’ve got some resources for you as well. We’ve compiled a list of the mobiles apps for Android and iOS from many of the drone manufacturers. From there, we’ve also got a list of additional apps we think make for a successful flight. 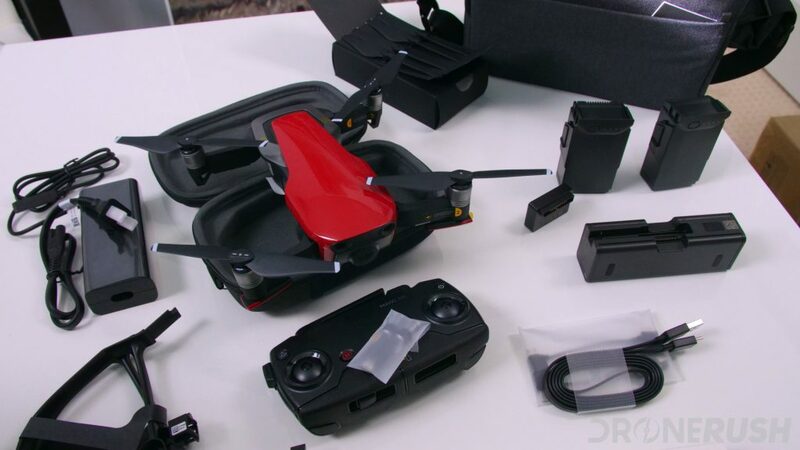 You have a drone, you may need to stock up on some accessories to enhance your experience. Simple enough, we urge you to consider equipping things like sun protection, bags to haul your gear and more. Science of flight – how to fly! We have an entire series on the go dedicated to learning the science behind the machines. Don’t get us wrong, we’re not absolute professionals here – more specifically, I’ve been out of school longer than I was ever in it, I forget some of what I learned about flight in those high school physics classes. Join us as we explore how propellers work, how fast your drone can fly, what happens when they fall from the sky and more. How many propellers do I need to fly? How fast can a drone fly? Do you need a smartphone to fly? Stay tuned for more coverage on the basics of flight. And, as always, be sure to hit the comments if you have recommendations or requests – ask us some specifics and we’ll try to answer them in long form. Will you be paid to fly your drone? Let’s make this painfully clear, folks, if you will be receiving compensation for your flight in any way, you must hold a commercial drone pilot license. You can fly for fun all day long, but if you are planning to capture media from the sky that you will be paid for, it is illegal to do so without your Part 107 certificate over American soil. Note: We have reached out to the FAA to clarify whether or not you can post your fun video on YouTube and receive monetization payments. We’ll update when we have word. Selling your photos or videos on sales platforms such as Shutterstock is considered direct compensation for your flight, you’ll need your Part 107 commercial drone license to do this legally. We’re also seeking official word on whether or not you need your remote pilot certificate in order to operate a racing drone, more on that later. The Part 107 test, to achieve your FAA Remote Pilot Certificate with a sUAS rating, will be the focus on a lot of our content this year. While we build our own suite of pilot training resources, including study material for the test, we’ve decided to partner with a reputable training company. With years of experience in training drone pilots, Drone Pilot Ground School is a training and study resource for aspiring commercial drone pilots. They offer an online test prep course to prepare you to pass the FAA Aeronautical Knowledge Test for a Remote Pilot Certificate. 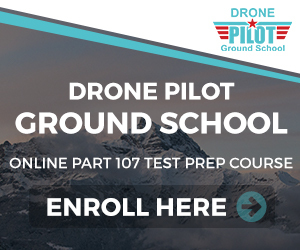 We’ve been taking our time evaluating the top Part 107 test prep courses online, we think Drone Pilot Ground School offers the best bang for the buck. There are less expensive courses out there, but this is more than just a course, it’s a well rounded resource for pilots. The FAA requires you to renew your Part 107 Remote Pilot Certificate every two years. This requires you to retake the full Part 107 exam every 24 months. In that amount of time, things can change, you can forget stuff — Drone Pilot Ground School offers lifetime access to their course and test prep material. In addition to video lectures that you can take on your own time, the course offers one-on-one support and a money back guarantee. We didn’t read the details on a full refund, but they will cover your testing fee if you do not pass the exam. That costs $150 in most states. Things don’t stop at the test. I am reading their additional resources pages now to learn how to request an FAA Airspace Authorization for Class D airspace. Next, I may consider taking one of their courses on 3D Mapping or Aerial Thermography. If you are ready to become a certified commercial drone pilot, check out Drone Pilot Ground School for $299 today. A safe flight is a happy flight. To that end, we hope we can assist you in learning all that you need to know to fly safe, have fun and capture the best aerial images possible. When you’re ready, let’s get you certified to fly with your own drone pilot license.